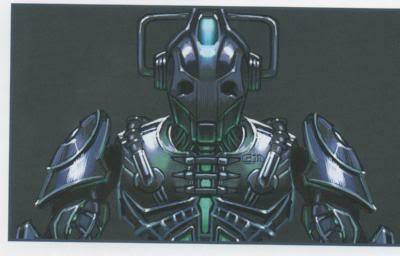 This page is a round-up of alternative designs for the Cybermen. 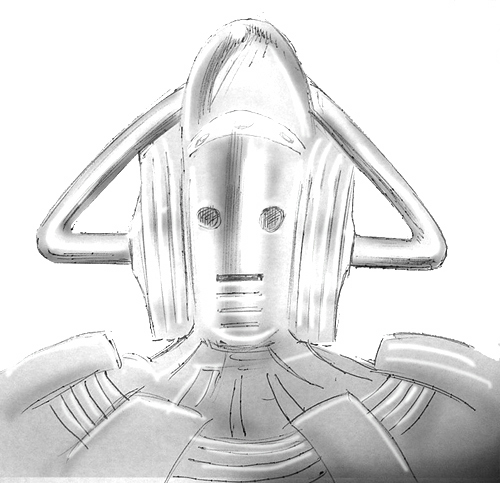 it is updated periodically (when I find new examples of alternative Cyberman design), so check back now and again to see the latest additions (which I’ll add to the top of the page for simplicity). I’ve added a slideshow after this text so you could just put your feet up and watch it, but if you want to look at the designs in more detail then scroll down the page. This collection has been put together from images clipped from the web and in most cases I do not have any idea of the name of the original artist. If I have included your work here and you would like me to credit you as its creator please let me know and I’ll be delighted to do so. Likewise, if you’d like to suggest an addition – please fire away! 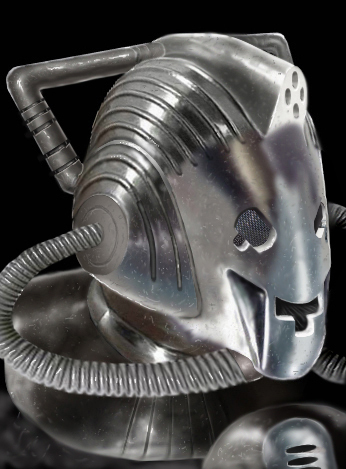 Above – A speculation on what redesigned Cybermen might look like in SFX Magazine prior to their return in the relaunched series. Nice assemblage of artwork here! 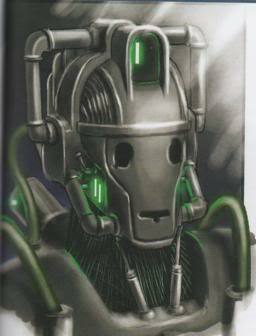 Many of these I have never seen, but images 2, 3 and 4 are from Peter McKinstry (website here: http://www.petermckinstry.com/), one of the official designers of the new Doctor Who. Yes indeed, #2 is a McKinstry – quite 10th Planet in some ways, even if more horrific. 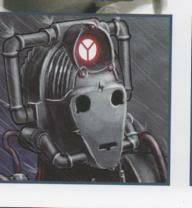 I’ll double check but I actually thought 3 & 4 were fan-art, probably somewhat inspired by his work. 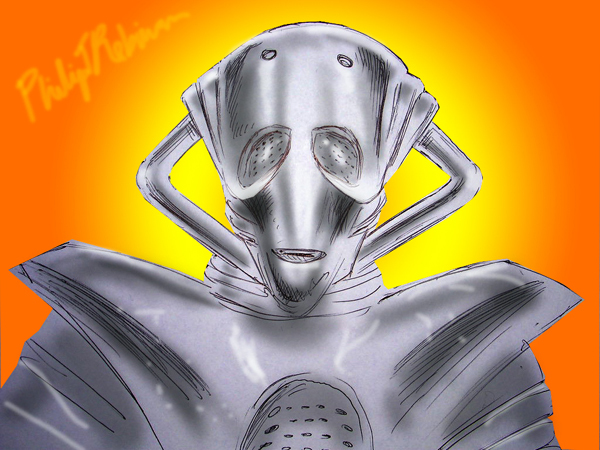 I’ll be doing a bit on an on-going series about other Cyber-designs shortly. 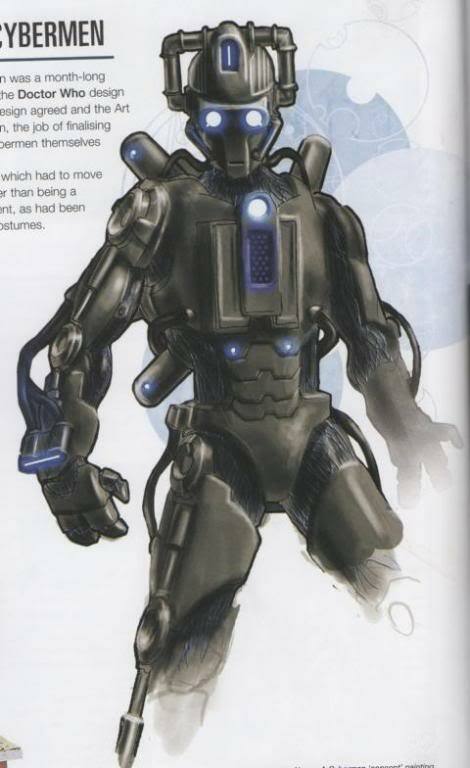 Quite a few got to, or even past, the concept art stage before being dropped in favour of designs that are now familiar, others appeared in spin-off media. 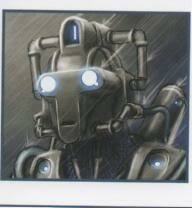 And some fan designs are really pretty good. 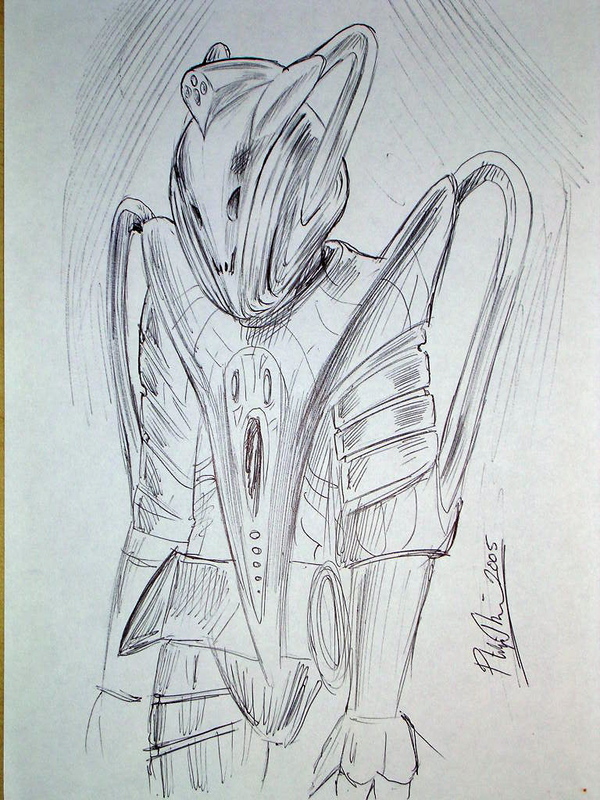 Cool drawings, is the last one based off those Cylon things from Battlestar? 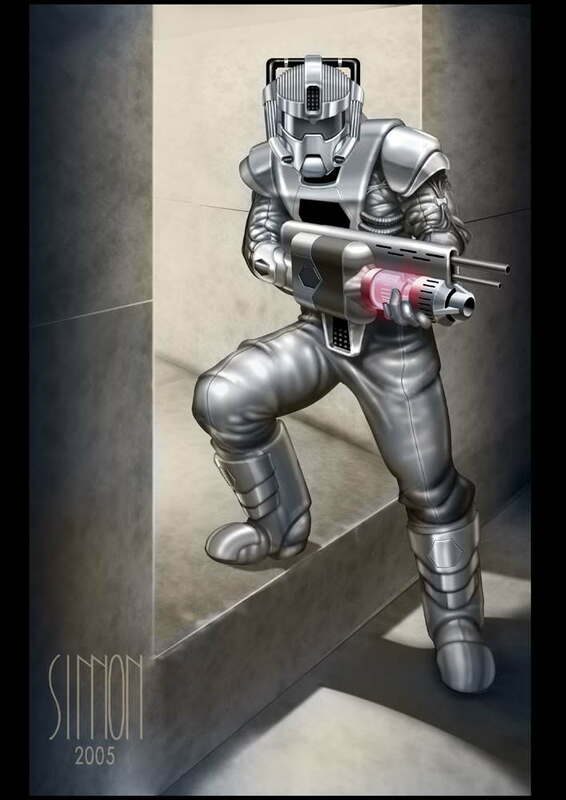 I never watched battlestar myself, but i’ve seen cylon pictures before.